· It is in fully working condition on all MTNL and BSNL lines. · Rotary dial buttons are used to give it a Retro look. 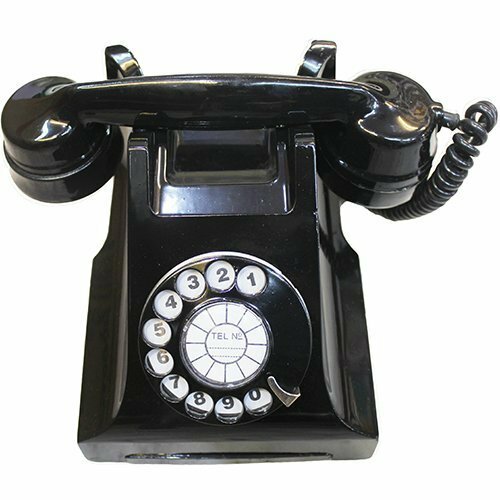 · Vintage Design Classic Phones Designed For Modern Day Use. · Suitable Place: suitable for homes, offices, mansions, hotels, galleries, jewelers and other lines to improve quality and taste. We are the most prominent dealer of Gramophone or other antique gift items in Delhi.